The eRevMax UK team took time out on Thursday 13th December to get together for an afternoon lunch at an Argentine restaurant. 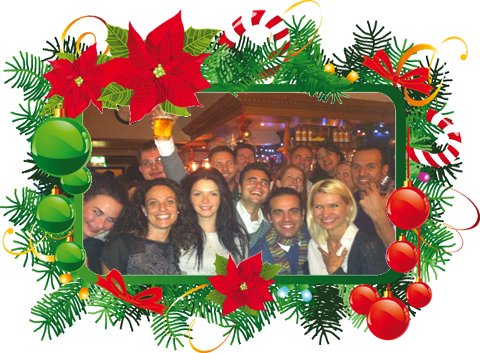 The EMEA sales team descended on the London office, armed with Secret Santa gifts and their best festive spirits. The team ate as much meat as they could before simply crossing the road in London Soho for a traditional English pub, where we spent the evening exchanging gifts, and stories fueled by great beer (and for some whiskey). We spent most of the evening on our feet dancing to an eclectic mix of music ranging from pop, to rock, and classic Christmas records chosen by our own Caroline Faries who pestered the DJ until he gave in and rammed up the volume to drown out our singing. eRevMaxians in the Kolkata office celebrated this winter festival on 23rd December. The technology centre was dressed up with colorful streamers, balloons, ribbons and a huge Christmas tree completed the reception area decoration. Members came in sporting their best dress and showed off their winter buys. Presents came through Secret Santa which was a big task to organize given the 140 plus headcount. It was good fun nonetheless and very heart warming to see everyone participating and getting lovely gifts. The event began with a fun quiz and moved on to the ‘Guess your Santa’ activity. After all the gifts were attacked and unwrapped, the gang moved on to the cafeteria for some rich plum cake and snacks. An evening full of fun, laughter and camaraderie with wishes for many more such days!! 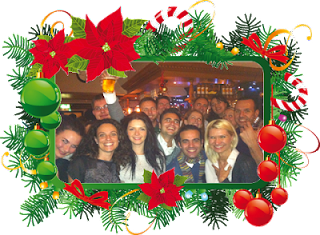 Similar events and Christmas dinners were organized in our UK and US offices. After an eventful and remarkable 2011, we at eRevMax look forward to an exciting 2012 and wish one and all a very prosperous and Happy New Year! !